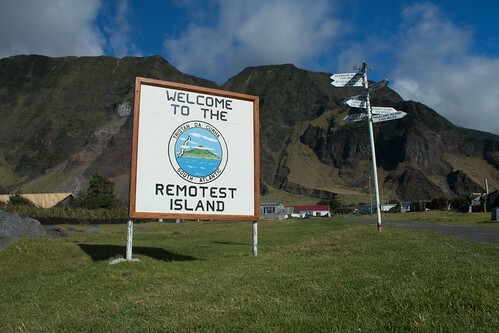 Ever wonder what the world’s most remote islands are? Can you honestly say that you’ve never dreamt of leaving your busy life behind you and retreating on a remote island, somewhere in the middle of nowhere? Well, most of us have probably had this fantasy at one point or another. We would like to present you with some of the world’s most remote islands. Admittedly, not all of the islands in our countdown are the idyllic paradise you might expect, but they are certainly the most secluded places on earth. Would you dare to live on one of them? Tristan da Cuhna, is the world’s most remote island where people actually live. Located in the South Atlantic, the group of islands is a British territory that is currently only reached by ships that depart from Cape Town, South Africa. Anyone wishing to visit Tristan da Cuhna has to first clear this with the island’s council.